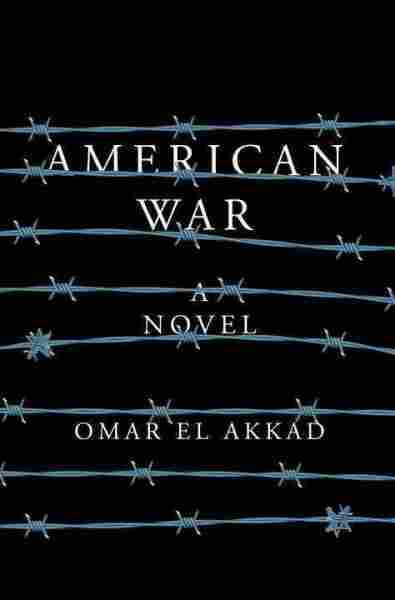 Interview: Omar El Akkad, Author Of 'American War' Journalist Omar El Akkad imagines a dark, dystopian future in his new novel, American War. It follows a young girl whose curious, trusting nature leads her to terrible acts as she grows up. It's 2075, and America has been beset by flooding linked to climate change. The President has banned the use of fossil fuels. The southern states have broken away, looking to protect the coal mining industry. A rabid civil war is taking place. A weakened America sees new empires in China and the Middle East meddling in its affairs — and Mexico has annexed most parts of the Southwest, from Texas to California. This dystopian world is the setting for a new novel, American War, by Omar El Akkad — who spent much of his career as a journalist with Canada's Globe and Mail covering real disasters and conflicts. El Akkad says that of all the characters he created for the book, only one came to him fully-formed: Sarat Chestnut, the young girl at the center of the story. "At the start of the book she's six years old," he says, "and to me she's sort of this very curious, trusting, defiant young girl whose chief attribute is this kind of rebellion against unknowing. She wants to know as much as possible. And the central arc of the book is essentially her life, and how her desire to know, her curiosity, is sort of used against her during this war." I didn't want to write a book with good guys and bad guys, and a clear dividing line between them. The idea behind writing it, when I first started, had to do with the universality of revenge. That we all suffer the same way, and we become damaged by suffering in the same way, regardless of which part of the world we grew up in, or what we believe. I think one of the things that's been lost in this incredibly polarized world we live in is the idea that it's possible to understand without taking somebody's side. There's not much in here that's fully un-anchored from something that happened in the real world ... I've spent the last ten years writing nonfiction, I've spent the last ten years writing journalism, and so it was very interesting for me to take that world and recast it as something fictional. But there's nothing that doesn't have some kind of analog in the world. Fiction's always been my first home, since I first started writing, and so in a sense, it freed me up to say things I couldn't say in a journalistic capacity — nor should I say in a journalistic capacity. The best journalism isn't necessarily good writing, it's just necessary, and this was a very different world, to be able to say things, and also to be able to bury subtext, and to say things without saying them. No. I don't think you're supposed to have sympathy for her. My only hope is that you understand why she did it. I think one of the things that's been lost in this incredibly polarized world we live in is the idea that it's possible to understand without taking somebody's side. So my only hope is that when you get to the end of the book, you're not on her side, you don't support her, you're not willing to apologize for her — but you understand how she got to the place where she is. Editor Jordana Hochman, producer Peter Breslow and web producer Petra Mayer contributed to this story.